Have you ever rolled over in bed only to feel nauseous, perhaps even to the extent that it made you physically ill? Do you feel this way even when you’re simply sitting up from lying down? 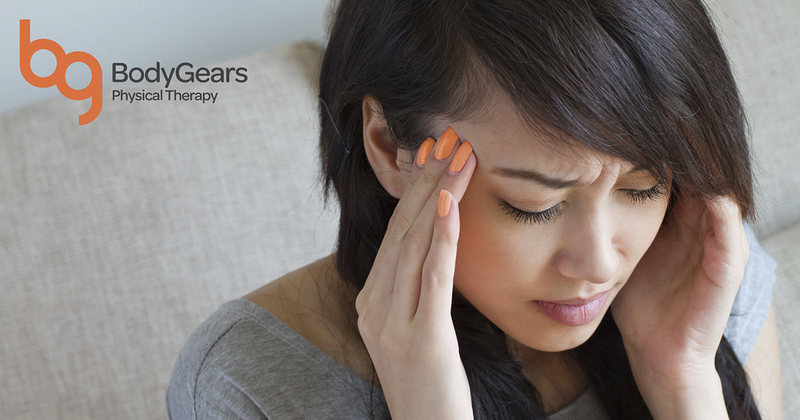 It’s possible this feeling stems from a condition called benign paroxysmal positional vertigo (BPPV). According to Edgar Urbina, SPT, the condition is characterized by feelings of nausea caused by a sudden change in position, difficulties in maintaining balance, dizziness and/or a spinning sensation. These symptoms last for a short time before subsiding, usually anywhere from a few seconds to few minutes. Understanding how BPPV happens also allows us to know how to treat it. These symptoms can be devastating to experience and can make navigating one’s day difficult and uncomfortable. Luckily, Body Gears’ physical therapists are trained to find the source of your BPPV and to remove the otoconia from the semicircular canals using canalith repositioning maneuvers. Strong research indicates that patients who were treated with these maneuvers experienced immediate relief of symptoms and an increase in their daily function. Body Gears patients often feel immediate relief of symptoms and maintain that relief for months after a maneuver. Physical therapists can even teach you how to perform the maneuvers at home in the likely case of a recurrence, so that you can readily feel relief at the first signs of BPPV. If you or anyone you know suffers from similar symptoms, please visit Body Gears Physical Therapy for an evaluation and treatment of your BPPV or call 877.709.1090. Hilton MP, Pinder DK. The Epley (canalith repositioning) manoeuvre for benign paroxysmal positional vertigo. Cochrane Database Syst Rev. 2014. Kerber KA. Benign parosymasl positional vertigo: opportunities squandered. Ann N Y Acad Sci. 2015; 1343: 106-112. Lee JD, Shim DB, Park HJ, Song CI, Kim MB, Kim CH, et al. A multicenter randomized double-blind study: comparison of the Epley, Semont, and sham maneuvers for the treatment of posterior canal benign paroxysmal positional vertigo. Audiol Neurootol. 2014; 19(5): 336-341. Van der Zaag-Loonen HJ, van leeuwen RB, Bruintjes TD, van Munster BC. Prevalence of unrecognized benign paroxysmal positional vertigo in older patients. Eur Arch Otorhinolaryngol. 2015; 272(6): 1521-1524.